Cryptocurrencies-A digital or virtual currency that uses cryptography, or codes, for security. Bitcoin makes up approximately 85% of all cryptocurrencies spent or earned. Whichever side helps businesses or customers more. 1. Cryptocurrencies make it easier to transfer funds between two parties. The transfers are facilitated through the use of private and public keys that enhance security. The processes involved in fund transfer are carried out with minimal processing fees, between 1 and 0%. As a result, users can avoid the steep fees that are charged by most financial institutions and banks for wire transfers. This makes it easier to transfer their funds between two places. They don’t have to go to a bank and wait, but do it on their own time and when they want to. It is a transaction system, a new and anonymous way to transfer money. It is a way to transfer money instantaneously and nearly free to any person in the world. Bitcoin’s technology could be used to transfer ownership both in other currencies and of any kind of financial asset. This, in turn, would allow the creation of decentralised exchanges which let asset holders trade directly. In January 2013, the online retailer Overstock began accepting Bitcoins as a form of payment and brought in $130,000 in Bitcoin sales on the first day of its acceptance. Computer hardware retail giant Tigerdirect has recently followed suit, and according to an interview in the Miami Herald, Director of Corporate Marketing Steven Leeds said that “being first out the gate [to accept Bitcoins] in our particular industry will give us a competitive advantage in showing this community what we have to offer.”According to Coinmap there are currently over 3,100 physically located merchants in the world accepting Bitcoin, a sharp increase from the roughly 500 locations listed in November 2013. The most notable benefit for small businesses accepting cryptocurrency is the ease and low cost of transaction. When a business accepts credit card payments or Paypal, it has to pay a 2 to 4 percent fee for each transaction. With Bitcoin and cryptocurrency merchant services such as Coinbase or Bitpay, the average transaction fee is around 1 percent. If the business chooses to not use an intermediary service and transact directly, then there is no fee at all. Bitcoin also allows you to reach a range of people from country to country because it is its own type of currency. It allows you to sell internationally at a lower cost, and it allows for one exchange rate all across the world. An advantage for small business owners using bitcoin is that transactions are final unlike credit card charges, which can be disputed. Most disputed credit card charges get locked up for months, and usually the merchant ends up losing the funds. Bitcoin merchants, however, get to choose when to issue a refund. When a merchant signs up for bitcoin, that business will show up on the bitcoin sites as well as on the bitcoin virtual maps so that bitcoin users know where to find merchants that accept bitcoin. This gets your small business’s name out there basically for free. And bitcoin users have been known to be quite loyal to bitcoin merchants, such that they seek out places where this type of cryptocurrency is accepted. Bitcoin is a peer-to-peer currency, which means that there is no legal hold or interest on the funds in bitcoin wallets. 3. All transactions are irreversible. Often times people with foreign credit cards will pay for something, wait for the company to pay for the international transaction fees, and then reverse the transaction, leaving the company to pay for it. With bitcoin, all transactions are irreversible. That means that as soon as money leaves someone’s possession, they cannot get it back. These irreversible transactions insure that a bank cannot meddle with someone’s funds, or a person cannot evade paying a transaction. 4. Cryptocurrencies are impossible to counterfeit. A cryptocurrency is difficult to counterfeit because of this security feature. A defining feature of a cryptocurrency is that it is not issued by any central authority, rendering it theoretically immune to government interference or manipulation. In brief, Bitcoin allows a distributed network of user machines to create virtual “coins” (really just bits of software), with some certainty provided via both cryptography and computing power that it is impossible or at least very difficult to counterfeit them. The International Business Market stated that as of 2013, there have been no organizations or websites that have created fake Bitcoins or fake cryptocurrencies, because the site simply can’t be infiltrated. That said, as the network grows, it becomes harder and harder for a single entity to do so. Already the Bitcoin network's computing power is quite ahead of the world's fastest supercomputers, together. What an attacker can do once the network is taken over is quite limited. Under no circumstances could an attacker create counterfeit coins, fake transactions, or take anybody else's money. An attacker's capabilities are limited to taking back their own money that they very recently spent. In the history of Bitcoin, there has never been an attack on the block chain that resulted in stolen money from a confirmed output. Neither has there ever been a reported theft resulting directly from a vulnerability in the original Bitcoin client, or a vulnerability in the protocol. Bitcoin is secured by standard cryptographic functions. These functions have been peer reviewed by cryptography experts and are considered unlikely to be breakable in the foreseeable future.The federal agency charged with enforcing the nation's laws against money laundering has issued new guidelines suggesting that several parties in the Bitcoin economy qualify as Money Services Businesses under US law. Money Services Businesses (MSBs) must register with the federal government, collect information about their customers, and take steps to combat money laundering by their customers. Also, they are safe. Bitcoin consists of a special feature known as “blockchain”, which contains the transaction history for every Bitcoin in circulation. It is kept up to date with the help of cryptography and copious computing power, provided by a global network of tens of thousands of computers. Again, openness helps the system remain secure: the blockchain is public so every participant can check whether a transfer comes from the rightful owner, but cannot be changed by the public. 1. Cryptocurrencies aid the buying and selling of illegal drugs. On February 14th, 2014, about $2.5m of Bitcoin was apparently stolen from Silk Road 2.0, a website which is used to trade mainly illegal drugs. It has been reported that all of this money was used to buy illegal drugs and make them. According to a 2013 users' survey conducted by the International Business Market, 35 % of Bitcoin spending went toward narcotics and other illegal goods. Even A Bitcoin assasination market has popped up to target world leaders. Companies which circulate cryptocurrencies, such as Mt. Gox, can easily steal money, due to the fact that transactions are irreversible. Karpeles said Friday that 750,000 bitcoins deposited by users and another 100,000 belonging to the company disappeared. That would amount to about $425 million at recent prices. $425 million dollars of consumer’s money being lost. 2. Cryptocurrencies are not stable, and can change instantly. Bitcoin has been noted to be highly volatile since it was able to rapidly increase in value from about $100 in October 2013 to $1200 in December 2013. Surprisingly, it encountered a sharp decline back to $600 in January 2014. Also, the week of March 1, Bitcoin dropped over $5.13 billion dollars after a bug in the system invaded information. Since 2011 dozens of exchanges have been hacked, and some have been robbed of millions of dollars. Its price has crashed several times. All but six of the 86 cryptocurrencies listed by CoinMarketCap have seen drops of between five and 40% over the last 24 hours of the past five days. 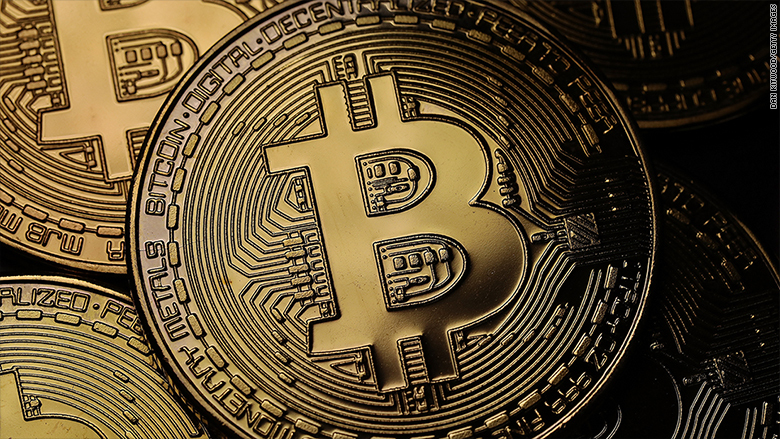 Bitcoin saw substantial losses of around 20% on 7 February, before recovering to $700, down approximately 12% on the previous day. As is often the case, where bitcoin goes other currencies follow, and the top 36 all saw their value fall. Also, many bugs have now been associated with cryptocurrency. “A bug in the bitcoin software [that] makes it possible for someone to use the Bitcoin network to alter transaction details to make it seem like a sending of bitcoins to a bitcoin wallet did not occur when in fact it did occur. Since transaction appears as if it has not proceeded correctly, the bitcoins may be resent. 3. Cryptocurrencies helps with money laundering. Money laundering is the process whereby the proceeds of crime are transformed into legitimate money or other assets. In 2011, New York Sen. Chuck Schumer, set the gold standard for anti-bitcoin freakouts, calling bitcoin "an online form of money laundering used to disguise the source of money, and to disguise who's both selling and buying the drug.” On February 2, 2014, BitInstant CEO Charlie Shrem was charged with money laundering. It looks like Shrem was working with Robert Faiella, whom he knew only by his username BTCKing, to help customers convert dollars to bitcoins for use on Silk Road. According to the Financial Crimes Enforcement Network (FinCEN), BitInstant is a payment company, so it is legally required to record and report information about its customers, particularly potentially shady dealings. Shrem, who was also on the board of the semi-official spokesorganization for the ownerless cryptocurrency, the Bitcoin Foundation, did no such reporting. Mike Caldwell had a small online business producing physical coins engraved with a private key that could be used to unlock digital bitcoins. Late last year, he got an alarming letter from FinCEn, in charge of stopping money laundering, and ceased operations. Because cryptocurrency transactions are anonymous and virtually untraceable, they have created a niche market for illegal transactions such as in illegal drugs. Because there is no central repository for the currency, neither law enforcement nor payment processors have jurisdiction to freeze users’ accounts. However, for supporters of cryptocurrency, this anonymity is one of the technology’s main strengths, despite its abuse for illicit purposes, because it allows for a power shift from institutions to individuals. Contrary to what some Bitcoin supporters support, anonymous financial transactions are undeniably a tool of oppression. It should be no surprise that Russia and China, two of the biggest money laundering hubs in the world, are some of the fastest growing markets for Bitcoins. 4. Cryptocurrencies do not provide ample security and can easily be lost. At the heart of the FBI’s concerns over Bitcoin is that Bitcoin has no “centralized authority,” a body equivalent to the banks and payment processors that play such a crucial role in monitoring for and protecting against online financial crime and theft. For instance, the FBI report identifies “third-party Bitcoin services,” or businesses that exchange Bitcoins for traditional currency, as important players in this new defensive landscape since they may “require customers to submit valid identification or bank information to complete transactions.” But it remains to be seen how effective these services will prove at providing the security services that, for better or for worse, we have come to rely so heavily on banks and credit card companies to provide. If the wallet file is lost, then the bitcoins it contains are lost forever. Sure, the file can be backed up, but people rarely do that, so if anything happens to the computer, or if you just inadvertently delete the file, then the Bitcoin is gone. The public address still exists, but this can only be accessed by the private key, which has been deleted, so unless one breaks the very secure encryption built into the system, then it would not be possible to recover the lost coins. In fact, there are an estimated 5 million lost bitcoins out of the 11 million ever mined.